Looks like lots of happy color in your blocks I just finished collecting the patterns for the men of the bible and I think I have the ladies somewhere but I never made them – good to see you with such a fun start! 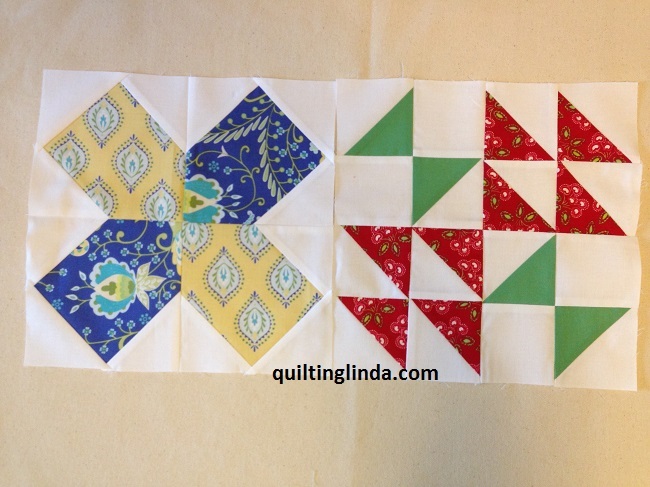 The pattern shows a lot of dark colors but I wanted something bright. 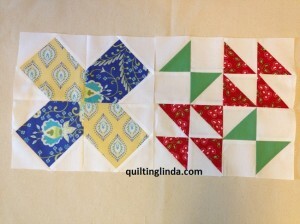 I had this FQ bundle with big prints that I thought would work with these larger blocks. 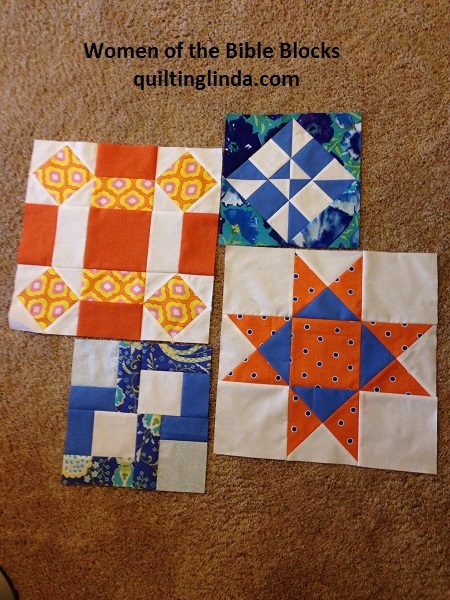 I don’t know if I will make all the blocks or just work on them until I run out of fabric. They look great! I do like your cheery colors. Once I get some ufos off the pile I will start.